Over 7,000 audience members attended over the 6 seasons of the play, which was adapted for children of all ages, from pre-school on up. 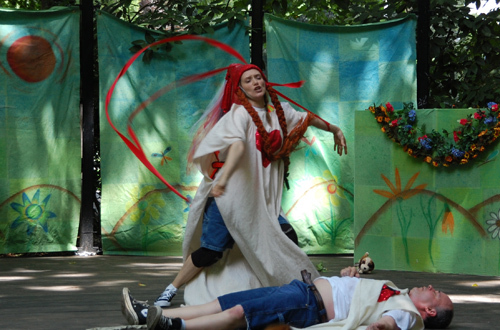 While keeping the original text but editing out the Lover’s plot the play succeeded in engaging children with an age appropriate length, plus plenty of puppets and Fairies in tutus! 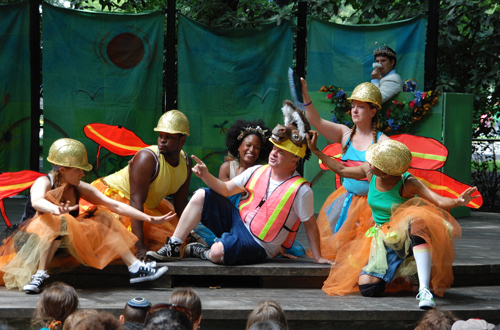 When a group of construction workers come to rehearse a play in rehearse a play in the playground—they stumble into a battle between the King and Queen of the Fairies. 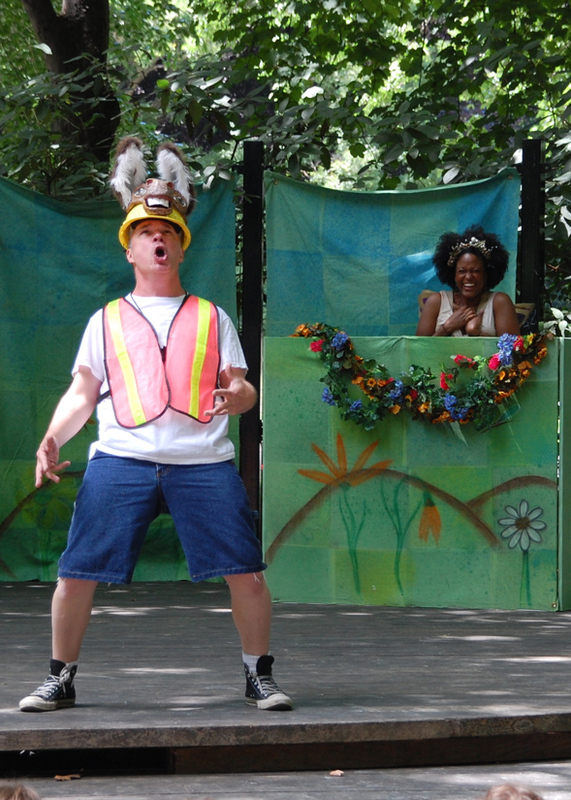 Magic, puppets, hard hats & safety vests—what more could any New York kid want? Many parents after the play were astounded that their 5 year old just and enjoyed an hour of Shakespeare. PLG Arts is a sponsored project of the Brooklyn Arts Council. 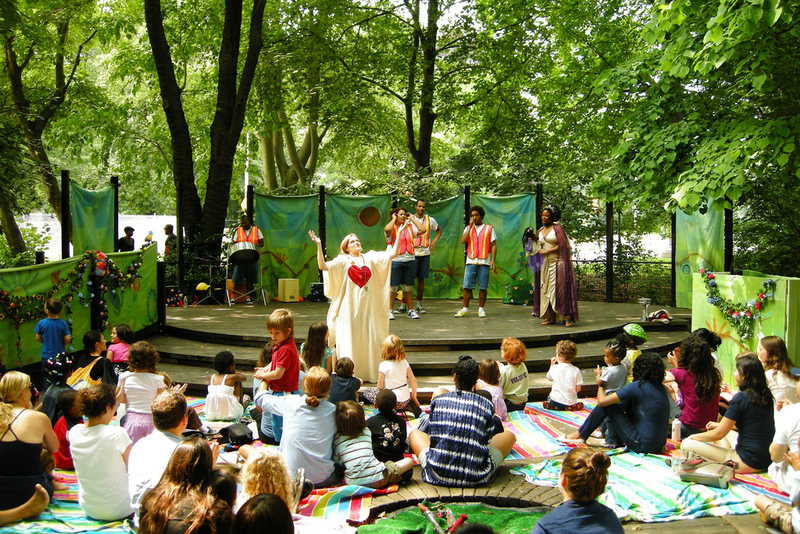 Major support for PLG Arts and Daydream was provided by the Citizens Committee for New York City’s Trailblazer Grant.Daydream was made possible by a contribution from the AT&T corporation, public funds from the Decentralization Program of the New York State Council on the Arts, administered in Kings County by the Brooklyn Arts Council, Inc. and ongoing support from State Senator Eric Adams. 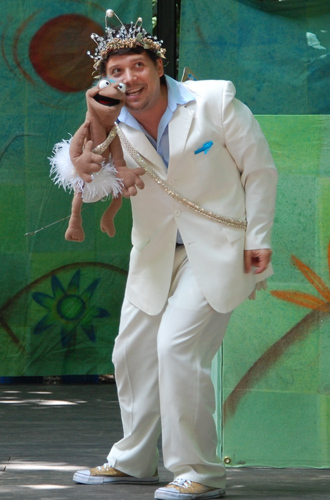 Our thanks to the Prospect Park Alliance for its years of support of this production and PLG Arts efforts to bring live performance Prospect Lefferts Gardens and the surrounding Brooklyn communities. To see some more photos, look here.